Artist Barbara Hart’s fascination with nature, the earth and atmospheric qualities are the inspirations behind her plein air paintings. 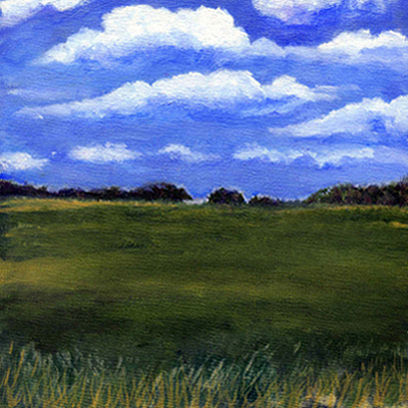 Enjoy more of her beautiful, light-filled landscapes by visiting her website. Compelling skies, horizons and light-filled landscapes are my inspiration. I’ve always had a sense of wonder about nature, the land and atmospheric qualities. There’s a fascination between the permanence of the land and the impermanence of the continuing shifting light that I try to capture in my work. Many of my current paintings portray a sense of mystery and intrigue about the beauty and diversity of nature. I love the challenge of painting the sky, ocean and land and portraying light and atmosphere. I begin with a photo and a feeling. I try to hold onto the majesty of the scene and the immediacy of my response to a particular place. Then, in the studio, using photographs, sketches and memory I begin work until the paint comes together to form the image. I work to create a balance between the paint and image, so one is not stronger than the other. I create the spirit of a place once visited, a visual journal of memory. I want my paintings to offer the viewer a moment of respite and to touch their mind and heart. Recently, I left the hustle of New York City and moved to a small town. This has provided me with time to paint, an affordable studio space and a community of artists. Since my move, I’ve been introduced to a wonderful community of plein air painters. This is a very different method than studio painting and is a great way to explore a more direct and immediate method of painting. 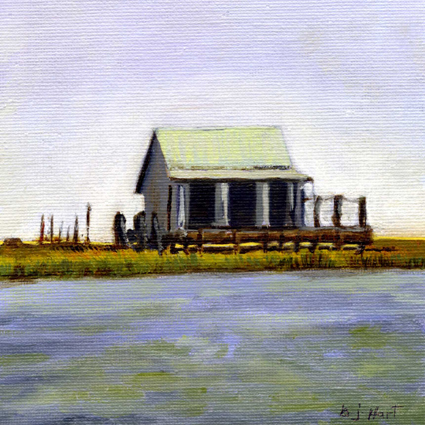 Plein air painting is filled with new challenges; for instance, the changing light and choosing what to focus on. It offers a chance to paint with other artists and to be in nature. This summer I’m looking forward to stepping outside the studio and into the landscape with my easel and paints. Artist Barbara Hart invites you to follow her on Facebook. These paintings are really memorable. My favorites are “Morning at Savage Neck Dunes” and “Walk at Magothy Bay”. They perfectly capture mood and sense of place with great economy. Hi Bruce, Thanks so much. So glad you like them. Your work continues to evolve in expansive beautifully descriptive statements. Particularly like “Solitude” and happy to see the peace in your work.